We love a big idea here in Hope&Glory. Experiences, films, stunts … you know, big stuff. But we’re just as fond of a small idea – simple, quick, cost-effective … and fun. This week we pulled off one of the latter for the lovely people at Argos. 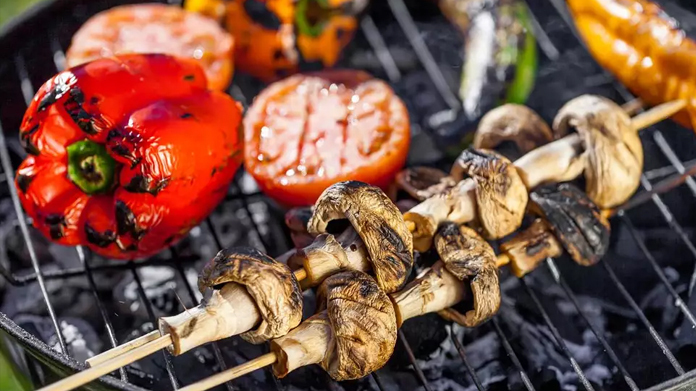 It’s summer (you may have noticed) and we needed a really simple BBQ story that took us above-and-beyond the sales data story about how the heatwave has triggered a spate of BBQ purchases. So we twisted some arms at Argos and managed to convince them to add a brand-new product to the range: the World’s First (it’s always the World’s First isn’t it?) Vegan BBQ. And, it should be noted, to make it available for exactly the same price as the regular BBQ (to be honest, it is the old BBQ, just with a new box). Anyway, it’d be fair to say that the announcement has got people talking – and at the same time divided opinion amongst the media that wrote about it. There was a cracking first piece in The Sun before the Independent got involved alongside Huffington Post and House Beautiful – alongside Somerset Live and Glasgow Live. Then the vegans got stuck into the story and there were some cracking pieces (actually rather supportive of this innovation) across Vegan Insight, VeggieVision and Fat Gay Vegan. Quick, simple, of the moment and a bit of a laugh. It’s also managed to attract a lot of BBQ buyers. Which was the point really, after all.